CEOCFO: Mr. DiPaolo, your site indicates, “PROJECT DELIVERY, EVOLVED.” Would you explain your approach? 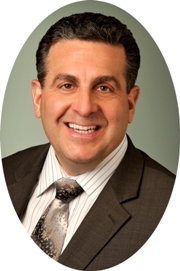 Mr. DiPaolo: We approach projects in a different way from most firms since we have in-depth knowledge and experience from the commercial real estate aspects by fully evaluating how to repurpose a potential property for the design, construction, commissioning and validation of high-tech research and manufacturing facilities. When we say ‘we have evolved’, we mean we have adapted with the market to provide a more leveraged model with regard for outsourcing where we think it is appropriate and create better value proposition for clients. For example, when it comes to assembling a design team for the project, even though PROTECS personnel have a great deal of knowledge in engineering and design, we go out to the marketplace and find the best expertise with regard to architects and engineers that have specific in-depth knowledge of exactly the type of facility we are doing. Then we competitively bid them against each other to get the best team and cost structure and have them as part of our team under us, where we manage and drive the design process to meet all of our clients’ project goals. From a client’s perspective, it is a very leveraged and evolved model where you are getting the best value and resources. CEOCFO: Was that your concept from the beginning ten years ago or has it evolved over time? Mr. DiPaolo: It was always my concept from the start to outsource the engineering and commissioning/validation services; because I came from a company prior to this where we did everything in-house. We had the engineering, construction, commissioning & validation capabilities all in-house. I was constantly getting frustrated trying to execute projects in this environment as I led all of their design and construction services nationwide. I was a senior partner in the company and I could not get my engineers to design the facility to meet all the objectives. We could meet the performance objectives but at a gold plated cost structure that our clients could not afford. I did not always get the best resources to perform the design work, our project design teams comprised of people who were not busy and sometimes had no expertise in the type of hi-tech operation we were implementing. When I saw the market evolving in the early 2000s where people were outsourcing to contract service organizations and growth of small biotech companies, I realized there was a different way to service these markets consistently to meet all of their operational and cost objectives. That is where it evolved in my head. CEOCFO: Would you give us an idea of the projects you handle? Mr. DiPaolo: We handle projects that span the spectrum of hi-tech and regulated research, development and manufacturing operations in the pharmaceutical, biotechnology, medical device, specialty chemical and semiconductor/nanotechnology market sectors. The type of projects include facilities for Cell Culture Manufacturing, Sterile/Aseptic manufacturing, Oral Solid Dosage Manufacturing, Compounding Pharmacies, Medical implantable devices and test kits and semiconductor processing for RF/LED/MEM’s devices. We also work within the university marketplace that is establishing hi-tech research and innovation centers where a lot of today’s new technologies evolve. We work for emerging, mid-size and Fortune 500 companies with state-of-the-art or fully-proven technologies for manufacturing and research development purposes. Our approach to project execution, is similar to the analogy of a police detective that comes to a crime scene and has standard operating procedures he follows regarding how he conducts his investigation. We also methodically evaluate and challenge all the overriding strategic objectives of our clients regardless of what type of technology, research, or office purpose planned, by taking our proven “Target Costing” delivery approach that we have leveraged to yield the best results for our clients. We are unique in having a U.S. patent for “The Method of Designing and Building to a Targeted Cost for High Tech Facilities” that I developed and was granted in 2013. Our distinctive approach consistently delivers successful results for any type of project. So whether you are designing a dog-house or the space shuttle, our project approach translates across any industry. Mr. DiPaolo: We are mainly a national based firm with three (3) offices on the east coast where we deliver projects around the entire country. We also consult on projects outside the U.S. as well. CEOCFO: Are the projects with your workers or subcontractors? Mr. DiPaolo: We are the brains of the management behind the projects that take on all of the risk but we do not have any self-performing labor, meaning trucks, tool belts, hands-on labor forces. We have project managers, project superintendents, project executives and engineers. We self-perform all the design management of the engineers and architects that we contract directly with, then we run the field operations and have full-time supervision on-site with our superintendents. We also provide real estate consulting services internally. We do this nationwide for various companies. Real estate brokers bring us in on projects across the country because the level of expertise and knowledge required to understand a high-tech clients’ operational requirements in order to locate them in the ideal property is not usually housed within the real estate firm. Therefore, they bring us in to help make a deal happen more efficiently, in order help a client find the best available space that suits their process and/or operational needs. CEOCFO: Are people taking advantage of all that PROTECS can do for them? Mr. DiPaolo: Ideally we want to get PROTECS involved at the earliest possible stages of project development. This is where we can bring the most value to the project and set the stage for success to meet all of our client’s strategic objectives. We tell clients it is never too early to call us and the more time they can spend on the master-planning phase of the project, the more they can reduce their risks and maximize their capital investment. When you rush that first step, you will have problems. We have clients that take utilize us for all of our services and capabilities and others hand us a fully designed and spec’d project drawings and allow us to bid to them as their construction manager. Ultimately, at the core of our organization, we want to build the project. Mr. DiPaolo: Business is very good. We are currently having a record year in sales and revenues. We went through the tumultuous years of 2008 through 2010 like everybody else. But our model from inception in 2005, has always been a cost-effective, efficient, value-added and frugal approach to project delivery, which this new economy is more readily willing and able to embrace. Mr. DiPaolo: If you want to get your hands around all the project parameters early on and you do not have the expertise or knowledge with your in-house resources, PROTECS is a great viable and affordable option for you in the marketplace. PROTECS will act as an extension of your organization; a true partner; to define all the project requirements and provide you with clear vision of your performance, conformance, compliance, time to market and most importantly the financial aspects of your project, early on, you can then take to your boss, manager, board of directors or financing company to gain approval and move forward. PROTECS guarantees the delivery of all project parameters and confirms you meet all of your intended strategic objectives, and ultimate goal, of having a fully functional, compliant and profitable operation.